Mad Dog is home! Hurray! We are all glad he is here but I have a question. Why is it that even though I spent 24/7 with my boys over the past several days, they still insist on being attached to my hip even though their Dad is home? 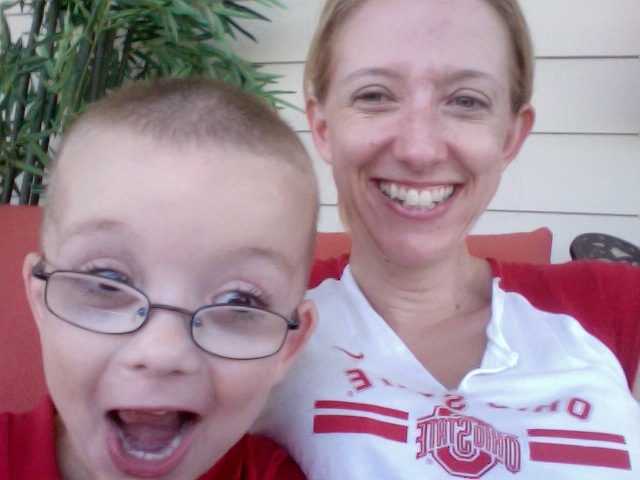 While Mad Dog was watching the Buckeyes and the boys were building a train track, I attempted escape to the lanai to write my blog post. I soon had a visitor. Not only did he have to sit near me, he had to sit practically on top of me. 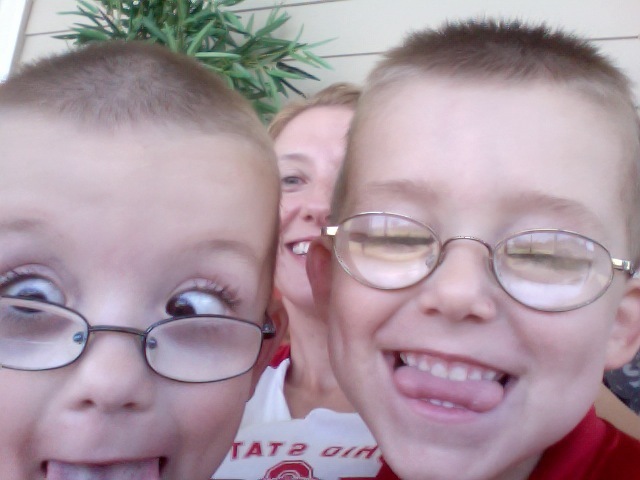 Good thing they are cute!